Awarded the Dove Foundations Family Seal of Approval with Four out of Five Doves and recommended for ages Twelve and above Travel the Road returns in a third season that captures the dangers and realities of mission work in Africa, while delivering a gospel experience that features stunning cinematography and captivating stories. The journey continues deep in the heart of Africa as missionaries Tim Scott and Will Decker set upon the continent to preach the gospel. Their mission begins on the Zambezi River where they undertake an expedition to locate remote villages while having to navigate daunting jungle rapids and crocodile-infested waters. But their desire to bring the gospel to those in desperate need will soon lead them on a series of risky missions to the world's most dangerous warzones. 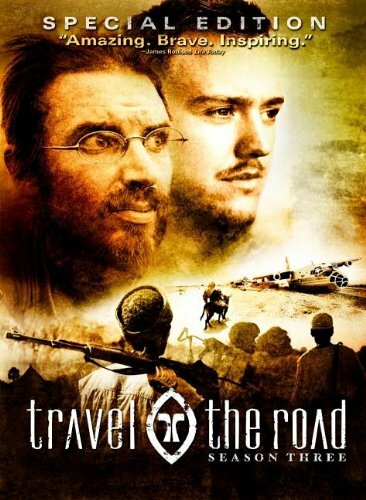 From treacherous food drops in Mogadishu, Somalia to intense patrolling missions in Darfur, Sudan, Tim and Will encounter clan militias warlords and isolated tribes as they traverse the vast expanse of Africa to deliver the eternal message of hope. If you have any questions about this product by Pure Flix Entertainment, contact us by completing and submitting the form below. If you are looking for a specif part number, please include it with your message.